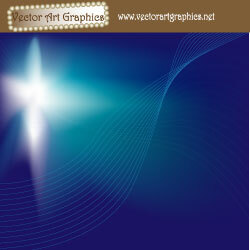 Download the Blue Abstract Vector Art. Futuristic star and wavy lines on blue. Great for a desktop computer background or abstract space wallpaper.